Yesterday, we were wondering what Nokia will announce during its annual Nokia World event. Well, we are happy – it is the new flagship model, the N97. It seems that Nokia will not join the cameraphones battle for now, as the new model features a modest 5MP camera instead of 8-megapixel one. However, Nokia claim that thanks to its Carl Zeiss lens and the DVD-quality video, it is a camera of superb quality. 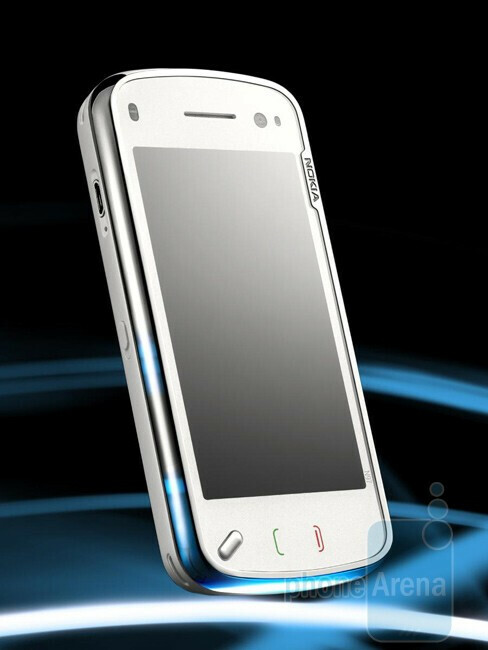 N97 is the second S60 smartphone with touch sensitive display. It is 3.5” in diagonal with ratio of 16:9 (widescreen), 640x360 pixels resolution, 16 million colors and adds haptic feedback (vibration when pressing). Stressing on communication and Internet, the new handset is a side-slider that features a QWERTY keyboard for fast text input. Other features include HSDPA, Wi-Fi, AGPS and 32GB of internal memory plus microSD slot for up to 16GB of additional memory. 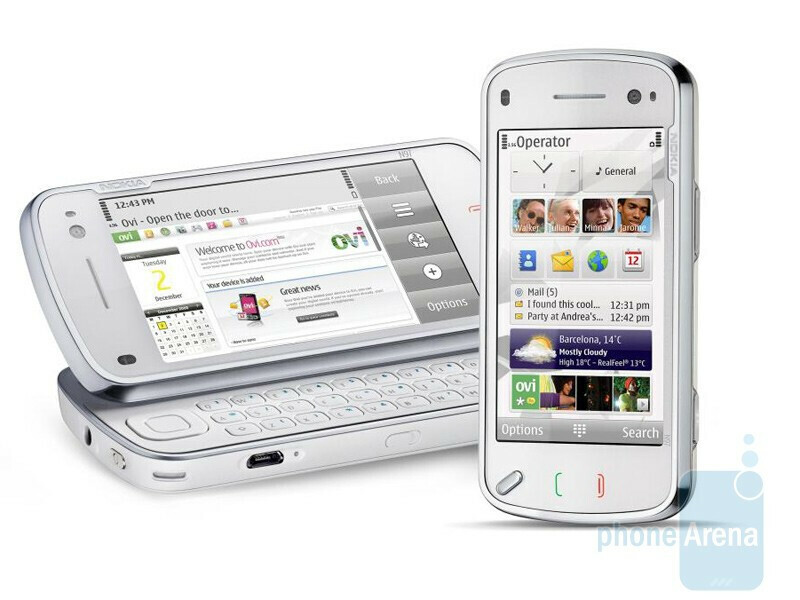 The N97 is expected to ship in the first half of 2009 at a price of about EUR 550 (US $700) before taxes. Check out our gallery for additional high-resolution photos! that is an incredible feature set. it'd be worth using at&t to have, even though their service isn't the greatest. frrrrrrrrunkis! Phone Arena has the best devcie comparison DB feature tool, I've come across over the net. Thanks guys! yea. it has FM radio with RDS. Wow...a touchscreen smartphone that slides back then tilts up. Hmmm, sounds familiar. Oh yeah, it's just like the HTC Tilt. Nokia's belated take on Xperia eh? Hillarious! what an awesome phone, to bad we most likely won't see it in the US. who knows maybe a year from now best buy will have it. been a nokia fan since day one! this phone is the king of cell phones. but i had the iphone too and i have to say that apple did a way better job then what ever new phone comes out. i want to but this phone so bad but i think that in the next year and a half apple will drop a phone with all the same features! But i'm still a nokia fan till i die! Are you kidding me?? Apple's iPhone can't hold a candle to this phone. Apple made a phone for morons and people who want to say, OOO LOOK AT ME! S60 is not hard at all to use, it's something that takes a few times to get used to, but there's a lot of things you can do in it. I don't care how easy it is to open an application. Where's all the options in the iPhone's OS?? Where's the menu organization?? Everything is jammed in one place. There's no folders anywhere. Yes I have used the iPhone 3G, and I have an N95 too, and the iPhone is nothing special at all. It's a darn good web phone, with a terrible virtual keyboard. The iPhone's OS can't compare to S60 in terms of how much power the end user has to customize almost anything with the phone. I'm not gonna hold my breath anytime soon for Apple to come out with a full feature phone that actually has MMS capabilities and video recording that could compete with an Nseries device like this. You guys should just admit you're iPhone haters for life and will never like one no matter how good the iPhone becomes. I use to get bored of my new phones in about 3 months and change phones in 6 months for the first time I actually love my phone so much. And I didn't know I was a moron just because I bought this phone. Well I guess millions of people are morons because a lot of people have the iPhone and a lot want one. And it's not my fault that people see me when I use my phone. I don't go around flaunting my phone, but people come to check it out for themselves. I guess it's because the phone is so good. And I'd the iPhone home screen is so jumbled up, why are there so many immitators? And they didn't give us nine pages accidently. You have more than enough pages to organize your apps. but nokia has made hundereds of phones and apple you can say made only one (the only different is the 3g)! apple just started making cell phones, in five years we will know who is best. the n97 has alot of features but if the iphone had just 80% of them, it would win hands down! people want smart phones that will replace their computers and apple makes computers, it make sence for them to make the iphone. and don't for get that microsoft owns danger now, so soon they will have their own phone out! all major mobile companies will be no longer in 8 years. Will it have a virtual keyboard and any news on a US release date? Hmm.. This looks like it could quite an excellent device. I do have one worry though. In the other official video for this device you can see part of the hinge system they have. It looks fairly complex with what looks like two spring loaded bars (I'm assuming on both sides) pushing the screen up to the tilted position. I could see these being a trouble spot in the long run. Beyond that I think this could give Sony Ericsson's X1 a run for its money. hi everyone! im using a SE k800i right now. can someone help me choose which phone should i get. 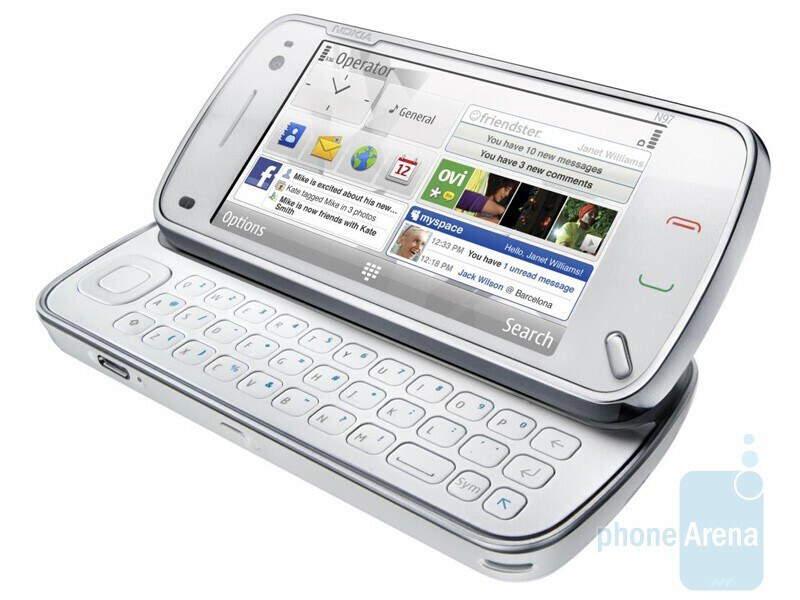 nokia 5800 xpressmusic or nokia n97 or w8 till a 3rd nokia touchscreen comes out? Whew that is quite an upgrade. First what are you using the phone for? No point in getting a device that can in some cases replace a laptop if all you want it for is to watch a movie and some light texting. Also there is one feature that I love in the N-series that they have expanded to their other devices is the Auto network provisioning. For me it is a life saver. It allows me to switch from Sim to Sim to Sim without ever needing to know the network's Wap information. Well in any case it depends on how much you are willing to spend and of course your region. Unless you really don't care about the 3G.